Another set of nice pictures. Careful with that sunset, in no time it will touch your acros. Wow, all your tanks are amazing! If you were to distill your maintenance and setup(s) down to 3 or 4 best practices or critical choices of necessary equipment for success would would they be? 1- No waterchanges, but dosings means full control for me. 2- powerfilter i wil never go without. Agreed, simple is always best. Just out of curiosity what do you mean by powerfilter? What comes to mind for me is an Aquaclear 50 or something like that but I'm guessing your talking about something else.. Perhaps power heads for circulation? Here is the right definition of a Powerfilter. Wouldn't a filter sock or similar floss media in the sump achieve the same thing without adding another pump? I've used floss media (white/blue) between my sump compartments and it captures, and looks, exactly like what your images show. In either case I completely agree in what it does and how it works. Just filter media in the sump compartment can't do the same. With the pump powering the flow you build more pressure, move more water and remove more fine particles. A powerfilter will be clogged in 2-3 days and produce microbubbles. No other filter remove dirt this fast. I saw your latest video and I have to say, your SPS colonies grow like weeds! 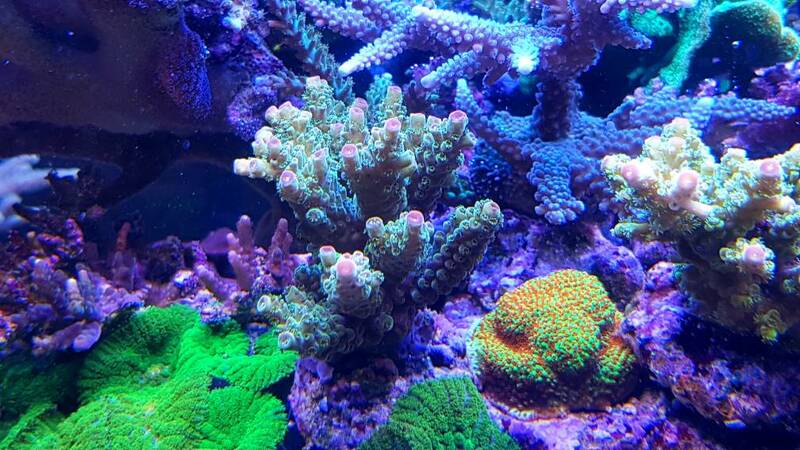 After a while you get light and flow limited and cutting corals cost most of my time. 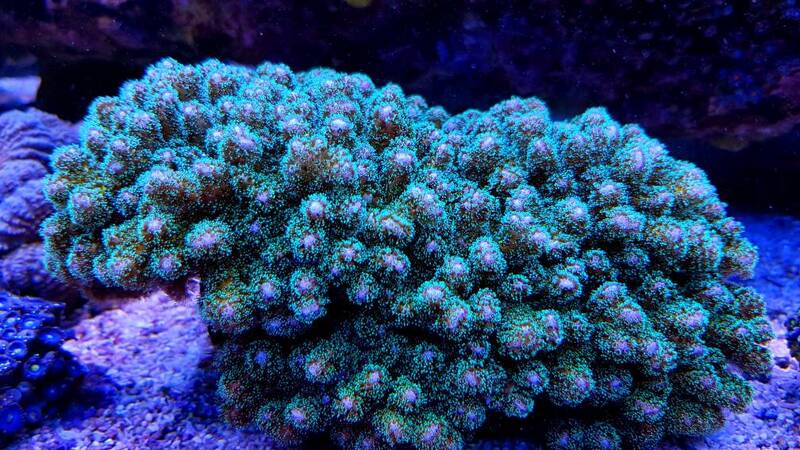 Fragging and cutting corals once every 2-3 months, 4-5 hours. 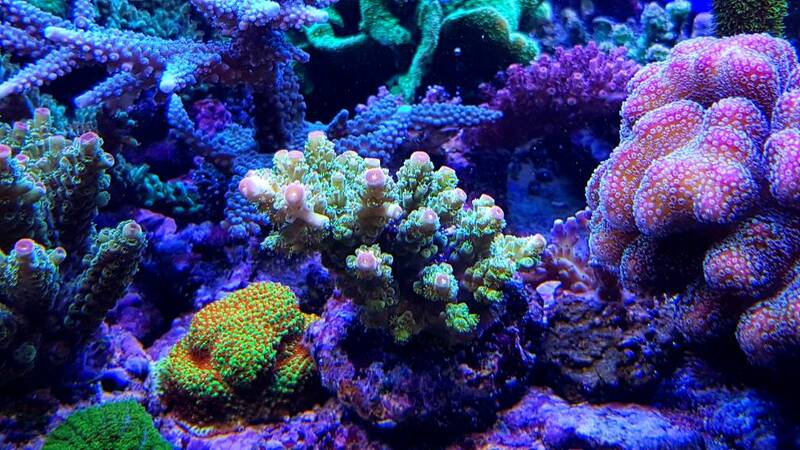 Replace old lamps and adding 25% more light seems to please these 2 coral very much. In the recent weeks the colors are improving and day by day. Today is was time to do some gardening in my butterflyreef. 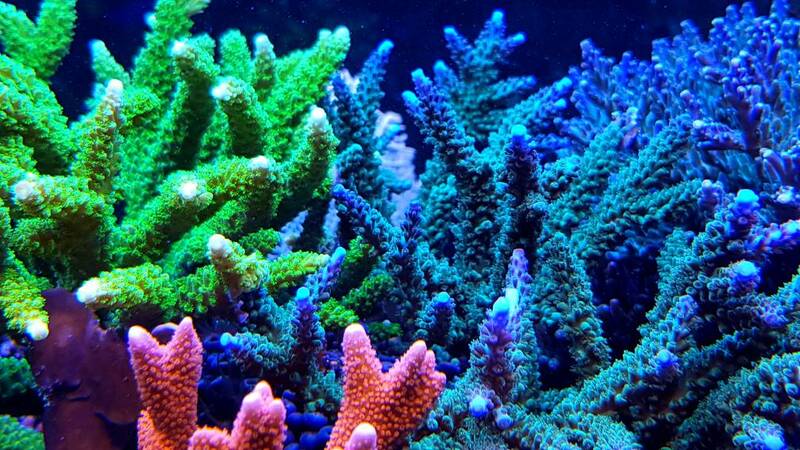 The corals were growing into eachother and towards the surface. Light, flow and space for the fish to swim were getting limited and it was time to do something about it. 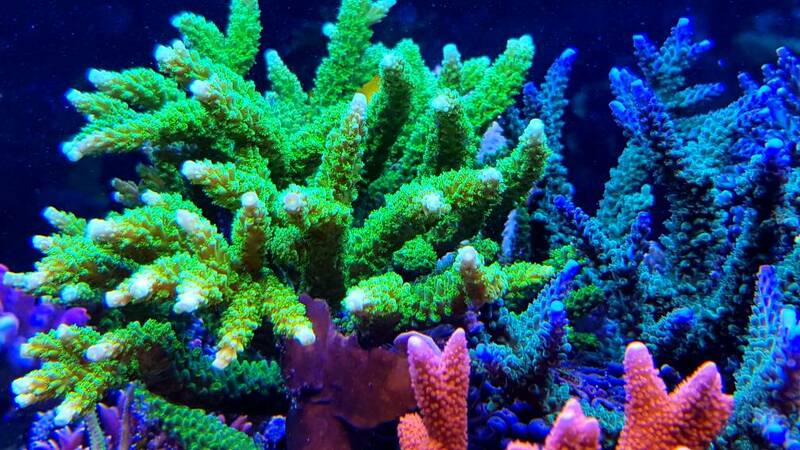 A dozen of acropora frogskin frags was the result of "a days work"
I am blown away on how beautiful this tank is! Haha.. which one? 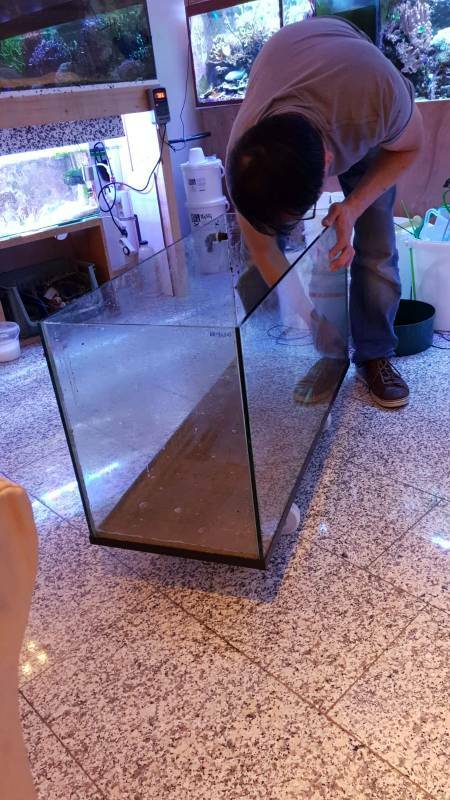 There 11 tanks in my home and a 12th in the making. What is the blue fish in the first picture?